Have you been diagnosed with a cervical prolapsed disc? It is the most common spinal abnormality in the upper region of the spine. 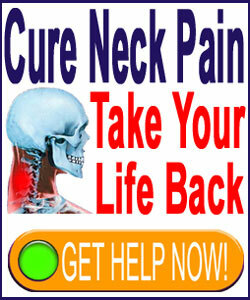 Do you understand the facts of disc prolapse in the neck? We certainly hope so, if you are to have any hope of effectively navigating the diagnostic and treatment sectors. Herniated discs in the neck have terrible reputations as chronic health issues that can create torturous pain and functional disability. While spinal disc pathologies can be painful and might even cause disability, these examples represent the extreme exceptions to the rule that states: Virtually all herniated disc are asymptomatic, or only mildly symptomatic for a short time, with no treatment being needed at all. This truth has been confirmed by literally countless medical research studies over many decades of time, as well as the varied clinical experience of doctors worldwide. This discussion provides an objective look at cervical disc prolapse events. We will detail exactly what the diagnosis means and what consequences most patients should expect to demonstrate as a result of cervical herniated discs. We will also look at the rare times when cervical disc prolapse can become pathological and what symptoms they might produce in these cases to help patients to avoid the common problem of misdiagnosis. Disc prolapse means exactly what it sounds like. Prolapse, in this usage, means to move from a proper anatomical place to a location that is considered atypical. Now to be clear, the entire disc does not move. This is a misconception popularized by the very misleading terminology “slipped disc”. Discs never slip. They are firmly anchored to both the vertebral bone above and below by ultra-strong cartilaginous tissues called endplates. Instead, what truly occurs is that the soft interior nucleus of the disc, called the nucleus pulposus, pressures the weakened outer disc wall, called the annulus fibrosus, which surrounds it, causing the outer disc wall to bulge or rupture outwards. There are various diagnostic terminologies for specific type of intervertebral prolapse in the neck and any or all of the following descriptions might be used by your doctor, depending on the characteristics of the disc abnormality: bulging disc, disc bulge, herniated disc, disc herniation, intervertebral herniation, prolapsed disc, disc prolapse, intervertebral prolapse, disc protrusion, ruptured disc, disc rupture, intervertebral rupture, extruded disc, disc extrusion, intervertebral extrusion, sequestered disc fragment or intervertebral sequestration. Additionally, certain other diagnostic terms might be applied to any of the above nomenclature in order to provide a more detailed picture of how the disc herniation is behaving, including: anterior, central, medial, posterolateral, paramedial, fragmented, foraminal, extraforaminal, far lateral, focal, diffuse, broad-based or contained. All these terms can make the diagnosis of any spinal disc irregularity a very complicated process for patients to understand. However, while it is great to completely comprehend every detail about your diagnosis and what it means, it is most important to understand the facts of herniated discs in the neck and providing these truths clearly will be our objective for the remainder of this essay. The most important fact to remember is that there is nothing at all inherently painful about prolapsed discs. Spinal discs do not have any internal nerves or blood supply and they do not feel pain themselves. They can literally explode or disintegrate without the patient feeling any pain at all. However, it is the collateral consequences on surrounding tissues that can create pain and other neurological symptoms related to a herniated disc. If a disc herniates in such as manner to elicit painful symptoms, it is said to be pathological, which basically means harmful. The vast majority of herniated discs are not pathological in any way and are considered asymptomatic by most objective observers. Herniated discs can be or become symptom-generators if they influence surrounding nerve tissues in certain ways. In most cases, herniations will not influence nerve tissues and should never be diagnosed as the cause of pain without providing verifiable evidence of a pathological process creating the symptoms. Herniated discs can be positively identified using CT scan or MRI technology. They can not be positively diagnosed by physical exam or the ridiculous “straight leg raising test”, although this test would not be utilized to evaluate a cervical disc anyway. Intervertebral herniation is basically a normal occurrence in the human spine and is found in huge samples of the adult population, particularly in the mid to low cervical spinal levels of C5 to T1 and again in the lower lumbar levels of L4 to S1. Being diagnosed with a herniated disc in these areas should be no surprise to any person who has lived a normal life of activity. There is evidence that herniated discs are also developed as a result of genetic information passed from parent to child. There seems to be a gene-related component to where herniations will develop, as well as at what stage of life. To explore the exceptions to the rule of asymptomatic behavior, please read the section below which concisely details the manner in which herniated discs can indeed create pain and other symptoms. 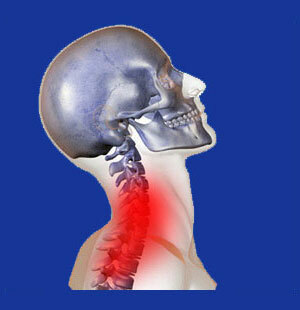 In the neck, disc prolapse can compress the spinal cord. This creates transient (not permanent) spinal stenosis. There is a difference between compressing the cord and other not-necessarily-symptomatic diagnostic terminology such as “mass effect on the thecal sac”, “thecal sac compression”, “contacting spinal cord”, “spinal cord effacement” and “spinal cord displacement”. A herniated disc can also compress a spinal nerve root, creating what is known medically as a compressive neuropathy or known to laymen as a pinched nerve. Nerve root compression is different than other similar diagnostic terminology that do not necessarily reflect a symptomatic condition, including “nerve root effacement”, “nerve contact”, “nerve crowding”, “reduction in patency of foraminal space” or “nerve displacement”. Chemical nerve irritation is often diagnosed as chemical radiculitis. This condition describes a condition wherein the irritating proteins from inside the nucleus of the disc escape and contact sensitive nerve tissues locally. These chemicals are usually thought to contact the spinal nerve roots as the most logical symptomatic mechanism. The protein responsible for creating pain is called tumor necrosis factor alpha. However, not everyone demonstrates sensitivity to this protein, making chemical radiculitis a very controversial model for pain in the larger dorsalgia treatment sector of medicine. Mechanical neck pain syndromes can result when discs desiccate or herniate in such a manner to bring the vertebral bodies close enough to interact or the spinal joints to misalign. These problems are actually considered to be arthritis-related, although the change in disc structure is what facilitates their development. It is important to remember that spinal osteoarthritis is also virtually universal and is rarely symptomatic to any significant degree. Hopefully, this article helps you to better understand the nature of your diagnosis and provides some peace of mind. Most herniations are nothing to fear. Some should be regularly monitored to insure that they do not progress to problematic degrees, while only a small minority requires treatment of any kind. Even terribly painful herniations will usually resolve without any special treatment whatsoever. Disc surgery is virtually always optional and highly ineffective in its long-term curative outcomes. The clear exceptions are surgical emergencies involving obvious spinal cord or multiple spinal nerve compression that might create not only pain, but terrible functional deficits, as well.